I’ve been using Learnvest (not a referral link) for four months now. I have to say I am exceptionally happy that I took the plunge. Lots of people- ahem, Laura- think that it’s not a worthwhile expense but for me is absolutely has been I don’t know that it can or will work for everyone, but boy has it been working for me. My planner issues me a 30-day no spend challenge and I knew that January would be the perfect month to really commit to it. Before I delve into the specifics of this post, I really thought about how financially transparent (read: vulnerable) I wanted to be. The answer is I really did want to be, but I’m not sure that I’m ready quite yet to put all the details of my financial well-being online. As much as I might have an issues with the fact that talking pay is taboo, it still is. Perhaps I’m part of the problem, but I’m not ready to the groundbreaker just yet. That being said, I’ve assign some value to x and I will talk about my income in terms of x. For example, if I say that my income was 100x and x equals $14 then my income would be $1400. I won’t share the value of x, but at least you’ll get to see and hear my very real financial progress. My monthly income is 126x. Monthly, I set aside money for a number of non-monthly subscriptions (in other words, things I pay for on a yearly basis) for a total of 1.8x. They are CoSchedule, Buffer, Stratechery, and Headspace. 110x of of my 126x is spent before I even get paid. This month, I only get to spend money on groceries and gas. I put my weekly spending budget ~3.6x into a Flex Spending account on Mondays and that is my spending for the week. On three different instances earlier in the month, I overspent and have been funneling money out of my Flex Spending to pay my slush fund back for that. This means that on Tuesdays, I move 2.7x back to my main bank account to “pay off” my self-loan. It will be that way until the end of the month. I’ve never done a no-spend challenge before, so fingers crossed it goes well. It would be great to kickstart my financial goals for 2016. 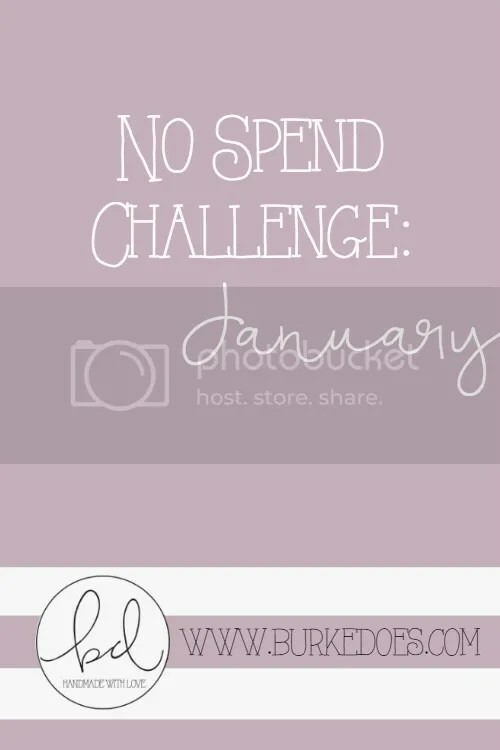 Have you ever done a no-spend month before? Tell me about it!